When my round of golf is over my most serious work has just begun. Even if I've shot a 65, I'll head back to the practice tee, and always with an agenda. More often than not, I will have played a few shots that did not make me happy. Let's say I missed two or three greens with iron shots that strayed to the left. The first item on my list will be to address that error. I'll spend at least a bucket of practice balls working on it. 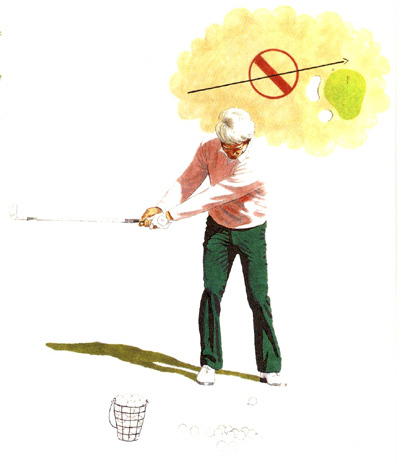 Once I'm satisfied that I've corrected the problem, I'll hit another bucket or so, either working on another shot or just keeping the edge on my ball-striking. Then, before calling it a day, I'll go back to the original shot, just to be sure I've found my cure.